HERNDON, Va.--(BUSINESS WIRE)--Iron Bow Technologies, an information technology solutions and global managed services provider to healthcare, commercial and government markets, today announced the launch of MedView™, the latest product in its line of multi-parameter patient care devices. 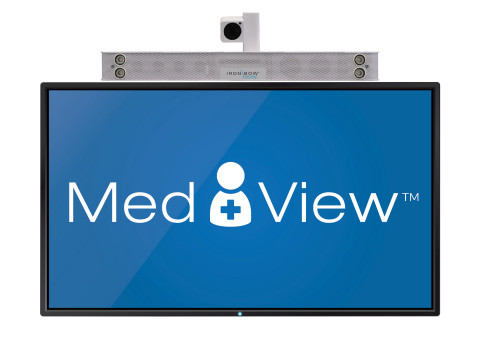 Iron Bow’s MedView is designed to use the existing in-room infotainment display to provide video monitoring capabilities for patient care. Delivered at unparalleled affordability, to accommodate multi-specialty consults wherever patients are located, MedView provides high quality video capabilities for patient monitoring, tele-ICU, e-rounding, virtual family visits, care coordination, patient education and discharge planning, among its offerings. The small form factor integrates with top EHRs and optimizes access to hospital resources (care coordinators, case managers, and other staff) for multi-campus hospitals. MedView is designed as a simple solution to transform health systems care delivery models. Iron Bow will showcase MedView at the upcoming ATA Conference in New Orleans April 14-16, booth #701. To learn more about MedView and Iron Bow’s suite of virtual care offerings visit ironbowhealthcare.com. Iron Bow Technologies is a leading IT solution provider dedicated to successfully transforming technology investments into business capabilities for government, commercial and healthcare clients. The depth of technical expertise, global reach and strategic partnerships with industry leaders as well as disruptive technology partners uniquely positions Iron Bow to target the right solution to ensure a successful business outcome. Iron Bow partners with clients from planning and implementation through ongoing maintenance and management to deliver solutions that are strong, flexible and on target with their mission. 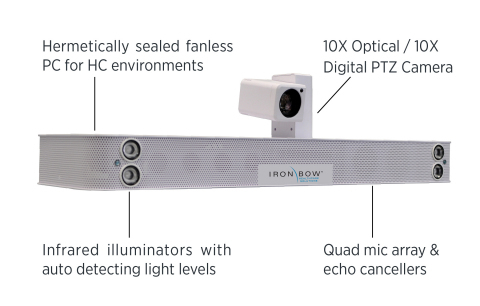 Regardless of technology consumption philosophies, Iron Bow can provide the leadership to drive innovation. Learn more at Ironbow.com.